In the next few weeks I will be conducting once again our Life Unlimited series which is a gospel centered evangelistic series offered by RHM. I would like to share with you this week some thoughts that are currently on my heart. I am convinced that our evangelism needs to—first and foremost—introduce people to God and His love for them. Through answering their questions and meeting their needs, we need to not only show them His love, but also lead them into deeper and more personal experiences with that love. This is what changes lives. Our Adventist message was never intended to simply spread intellectual, doctrinal facts. This may produce members that are convinced, but it doesn’t necessarily mean they are converted. Conversion happens as we encounter God’s love for us, as we “perceive with [our] hearts.”(John 12:40) Then the miracle of the new birth takes place, through which we “no longer live for ourselves, but for Him”(2 Corinthians 5:15) who loved us and gave His life for us. Our message is to be centered in helping others “see” what God is truly like; and nothing in my life has contributed more to my understanding of God’s love than the truths of the Adventist message. It’s powerful! It’s heart-awakening! It’s life-changing! Our understanding of the fate of the lost reconciles the Bible’s teachings on hell with God’s claims to be a God of love. Our understanding of free will, the Great Controversy, and the cross continues to balance how God could love us so passionately, and yet still cannot guarantee that we will never suffer pain. Being justified as a gift by His grace through the redemption which is in Christ Jesus; whom God displayed publicly as a propitiation through faith in His blood.—Romans 3:24-25The term “propitiation” has caused much consternation throughout the years of Christian history. A misapplication of this term has conjured up pictures of a bloodthirsty God needing to be appeased. This picture of God has rightly been resisted and even rejected by some, and yet, the Bible does use the terms “propitiation” and “appeasement.” If these terms are not to be applied to the idea of appeasing the anger of a vengeful God, how are we to understand them? Let us begin by first looking at what these terms actually mean. Propitiation – a gift given with the intent to appease wrath, conciliate, or win the favor of somebody or something; to appease one offended and render him/her favorable. Appease – to pacify somebody, especially by acceding to demands, to satisfy or relieve something, especially a physical appetite, to make quiet, to calm, to reduce to a state of peace, to still, or to pacify, as to appease the tumult of the ocean or of the passions or to appease hunger or thirst. We have wrongly assumed that what was needed to be appeased was an angry God, and thus, Christ’s sacrifice was a propitiation to God calming His anger. But I would like you to consider the above verse with which we began. Propitiation only occurs through faith. This would mean that 1. God is angry and 2. He is not appeased until we believe in Christ’s sacrifice. Then and only then would His anger toward us end. However, this would mean that even Christ’s sacrifice does not quench His anger toward us, not until we believe in that sacrifice. Is God really harboring ill feelings toward us until we believe? On the contrary, the Bible states that God so loved this world that He gave Christ as a propitiation. God could not possibly be the One being appeased because He is the One giving the propitiation, not receiving it. “God is not a man; He does not cherish enmity, nor harbor a feeling of revenge. It is not because God has an angry feeling in His heart against a sinner that he asks forgiveness, but because the sinner has something in his heart. God is all right, the man is all wrong; therefore God forgives the man, that he also may be all right” (Waggoner, 1894). You see, when we sin, this sin begins to cause our conscience psychological and emotional torment in our conscience. If we are not released from this torment, one day, we will enter into the presence of God, and this torment will not lessen, but intensify. 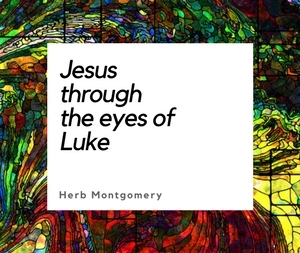 Looking into the eyes of God we would see all that He is while simultaneously understanding how out of harmony we are with what we see in Him. This disharmony would produce such a state of guilt and shame that if we were left alone to bear this, it would crush out our life. This is why the presence of God is lethal to sinners. It drives home the full realization of our own sin along with the guilt and shame of our sin, and it is this guilt and shame that we are unable to bear. It is this same guilt and shame from our sin that crushed out the life of Christ. You see just as the condemnation we feel in our conscience is the condemnation caused by our sin, justification is what we experience in our conscience as a result of our acceptance of Christ’s sacrifice in our place. God is not an angry God needing to be appeased; rather, we have a tormented conscience demanding restitution, which needs to be appeased. The condemnation we feel as a result of our sin is not that which is transpiring in God’s heart toward us, but that which is transpiring in our conscience toward ourselves. If we were to bear the full weight of this guilt and shame, it would destroy us! Thus, justification is not where God’s attitude is changed toward us, but instead, it is where our conscience is cleansed of the condemnation we brought on ourselves through our sin. It is where we, in our conscience, are brought from a state of guilt and shame, to peace and forgiveness as a result of receiving the sacrifice of Christ in our place. We pass from a state of feeling condemned to feeling at peace or rather justified. Therefore, the ideas of propitiation and appeasement need not fill our hearts with fear of an angry God. Instead, these terms should inspire within our hearts deep resounding gratitude toward the One who would not leave us to suffer the fate of being crushed by the guilt of what we have done, but instead gave Himself in the person of His Son as a propitiation to appease our guilty conscience demanding restitution. (Have you ever been plagued by a guilty conscience before?) Praise God for His self-sacrificing love! In the following passages, please picture God, not as angry and needing to be appeased, but as giving Himself in our place as the only way to save us from the life-crushing guilt and shame we set in motion in our conscience through our sin. “Therefore, He had to be made like His brethren in all things, so that He might become a merciful and faithful high priest in things pertaining to God, to make propitiation for the sins of the people” (Hebrews 2:17-18). “My little children, I am writing these things to you so that you may not sin. And if anyone sins, we have a Comforter with the Father, Jesus Christ the righteous; and He Himself is the propitiation for our sins; and not for ours only, but also for those of the whole world” (1 John 2:1-2). “In this is love, not that we loved God, but that He loved us and sent His Son to be the propitiation for our sins” (1 John 4:10). God is not the enemy, sin is! God is not the one we should be afraid of, sin is! God is not the one Jesus came to save us from, sin is! (See Matthew 1:21). The only question for you this week, dear reader, is will you let Him? Why don’t you let Him cleanse you of the shame and guilt of your past mistakes right now. (For more on this topic, please listen to The Eyes of A King from our Extravagant Love series located on our “sermons/downloads” page under the resource section at www.renewedheartministries.com). Be kind to one another, tender-hearted, forgiving each other, just as God in Christ also has forgiven you. — Ephesians 4:32Recently, I met a dear soul struggling to forgive someone who had wronged them. They were quite bothered, feeling quite mistakenly that if they could not forgive, God would not forgive them. I believe this is a gross misinterpretation of Jesus’ comments on this subject. In all actuality, we cannot possibly forgive until we first encounter how much we have been forgiven. Then, and only then, can we forgive the way we’ve been forgiven, as the above verse indicates. Could it be that the reason so many struggle to find forgiveness toward others in their heart is that we have failed to realize how freely we ourselves have been forgiven? This week, rather than striving to forgive those that have wronged you, try striving to believe how freely God has forgiven you. Let God show you what Calvary was all about and allow that forgiveness from Him to awaken in you forgiveness toward others.